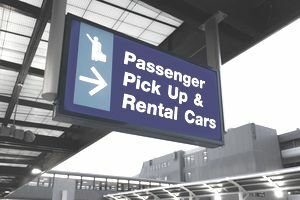 Are you considering renting a car from The Hertz Corporation? There are many factors to consider before you rent a vehicle, and you should consider the pros and cons and price compare before you make a final decision about who to rent a car through. Based in Florida, The Hertz Corporation has over 10,000 locations worldwide and is the second-largest car rental company in the United States. They are also one of the oldest rental companies in the country. In addition to their namesake brand, they also run the Dollar and Thrifty car rental services. Hertz will pick and drop you to the rental car location unless you are at the airport. They will match any lower rate you find at a Hertz car rental elsewhere, with an extra 10% off. If you are not a Gold Plus member, you will pay $14 per day for each additional driver. More expensive than its competitors for shorter trips. Several people have reported getting overcharged for gas or extras like insurance, particularly in foreign countries. No option for luxe rentals, hybrid or electric vehicles. Their rewards program is hard to beat. It is called “Gold Plus,” but it is free to join, and you can start using your points to redeem a free rental after you reach 550 points. Unlike many other loyalty programs, there are no restrictions on when you can rent a vehicle using your Gold Plus points. If you download the Hertz Gold app, you can get free upgrades, and you will not face any fees for additional drivers, what a great perk! Special discounts are available for AAA members. Seasonally, you may be able to save 30 percent if you prepay, but this offer only occurs from time to time. Hertz locations are generally well-stocked with many different vehicle options. If you are making a more extended trip, your rates will be about 25 percent lower if you choose Hertz than if you go with a competitor for week-long trips. Hertz will pick you up and bring you to the rental car location unless you are at the airport. You’ll seldom if ever, have to wait for a vehicle. Customers report that their scheduled cars are almost always available when Hertz said they would be, which is a problem that other car rental companies haven’t all managed to tackle. Hertz wants to incentivize those who book through their site, and as such, they have a pretty sweet price guarantee: If you can show that you found a lower rate on a Hertz car rental elsewhere, they will not only match that rate but give you an additional 10 percent off. If you are not a Gold Plus member, you will pay $14 per day for each additional driver. For shorter trips, Hertz tends to be slightly more expensive than its competitors, with daily rates nearly 10 percent higher than average. Several people have reported getting overcharged for gas or extras like insurance, particularly in foreign countries. If you are looking for a luxe rental, you will want to go elsewhere. There are not many options beyond the standard sedan, SUVs, and passenger vans. No hybrid or electric rental vehicles in sight. Ironically, some renters report that their automatic upgrades are unwanted, like when they reserve an SUV and get stuck instead with a luxury sedan to navigate through a blizzard, or when they were really looking forward to cozying into their big rental truck and instead got stuck with a “nicer” option. Watch your gas gauge. If you return the vehicle with a tank full of gas, take a photo before you leave with a timestamp and a picture of the level before you turn off the car. If you do end up getting overcharged, you can hopefully quickly resolve the situation. Read the fine print on your insurance information, particularly if you are traveling to a foreign country. Otherwise, you might end up getting unpleasantly high unexpected charges. If you are looking for a great loyalty program, Hertz is the best place to rent. You should also make sure to include Hertz in your search if you are embarking on a longer trip, and if you are feeling adventurous, you should scour the web for lower Hertz rates than offered directly on their site to take advantage of that 10 percent bonus price match offer. The free upgrades certainly make it more fun. Just like any car rental experience, make sure to read the fine print of what you agree to and document everything in painstaking detail. Otherwise, you could end up paying much more than you bargained for. Will You Be Driving Outside the Country Soon? Time to Get a Permit!